they fill me with glee. 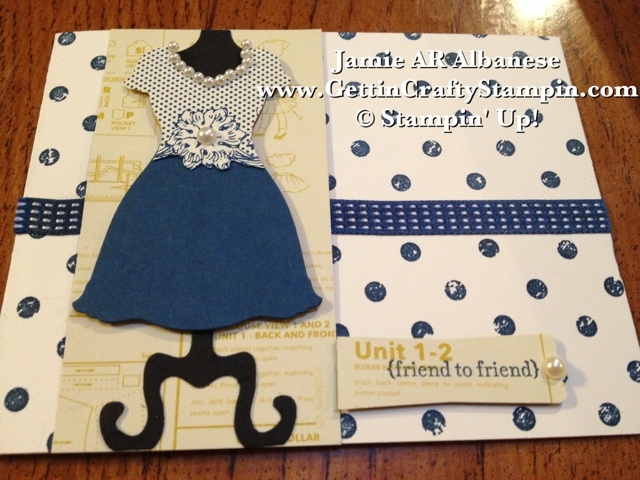 inspired this Blue Dress Card! How would YOU play with them?!?! 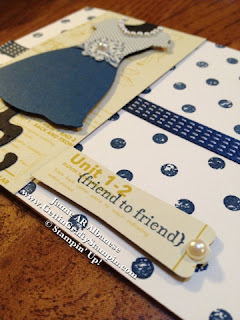 With a Very Vanilla card stock base I inked up the Distressed Dots background stamp with Midnight Muse. A perfect pair to the dots on this paper from the Print Poetry Designer Series Paper Stack (Spring Mini)! The Stack is LOADED with a great assortment of papers, colors and more... all for only $6.95!! Accessorize any great outfit with a pearl accent! Here the Pearls become a fun necklace (picking up the Polka Dots) and is a fun accent in the flower center of the dress. 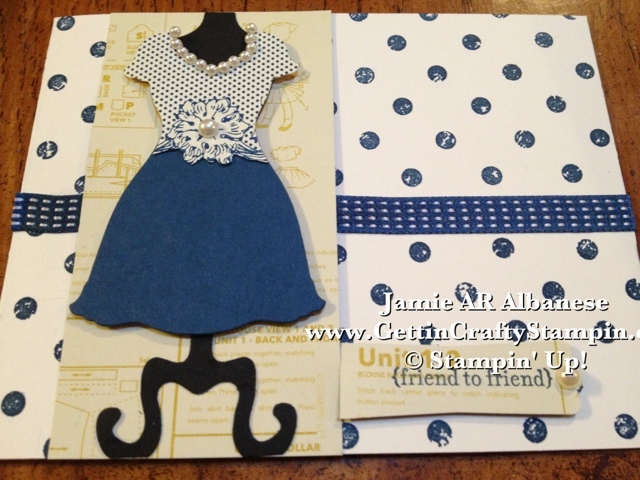 With Midnight Muse card stock for the base, this outfit is elegant and fun, classic and trendy!! Pearls Basic Jewels class up this already elegant attire! Friend to Friend is a wonderful sentiment from the Teeny Tiny Wishes (Idea Book & Catalog) and fits the Modern Label punch perfectly! Accenting the sewn dress, the matching stitched Midnight Muse Ribbon sews it up! 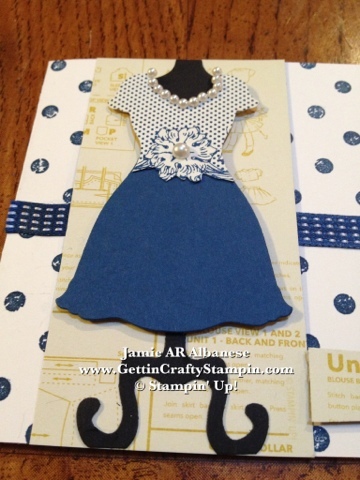 The Summer Starfruit sewing pattern paper is a great base for this stunning outfit! The Dress Up Framelits Dies comes with this Dress Stand to hold up this outfit. What is YOUR Favorite Accessory? Patterns? 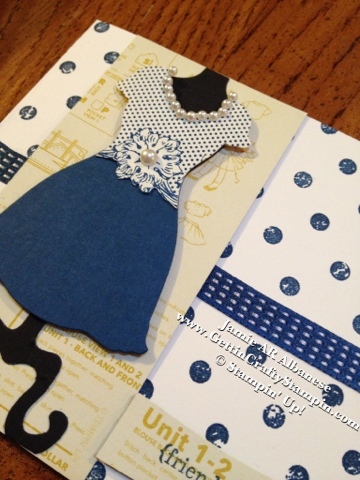 - even a classic outfit or card! Grab YOUR Dress Up Bundle and save 15%! Getting the Stamp set and dies to punch out - is a fun way to add to your collection a classic that will not go out of style!